Belizean born, Tony Wright appeared on the music scene on Christmas Eve in 1966 with Joeffrey Gillett and his Cosmonauts, as a singer. The band lasted for about two years after which it dissolved. Tony’s next gig was with Morgan and the Impressions, when he was invited by his friend, Joeffrey to do some guest appearances. Tony was later invited by a Mexican band called Los Dinners to perform with them in Chetumal. In 1971, Tony traveled to the U.S. where he met guitarist, Lesmond Sosa. He wrote his first original song called Caribbean Girl later that year. In 1981, he wrote his second original song called Independence Now which was recorded with Morgan and the Impressions. This song was a big hit on Independence Day on Albert Street. In 1991, Tony met Juni and Lynn Young, who recorded him under the Ludwig Recording Label. His first album was King Ina Di Country followed by five other albums: Show Dem How to Whine, Belize The Jewel, 100% Belizean, Shake It and a Gospel album entitled: The Word Must Be Heard. Next, Tony moved to A.E.A.U. Recording Studios where he made the albums: Nuff Respect and Show Me Yu Motion. He later appeared on two various albums for A.E.A.U. called Christmas Cheer and September Fest. He also wrote songs for many artists such as: Sam Hamilton, Shawn West and Denise Simpson. In 2004 Tony returned to Ludwig Studios, to record his Best of Tony Wright album. In August of the same year he went to New York to perform at the New York Park Fest. 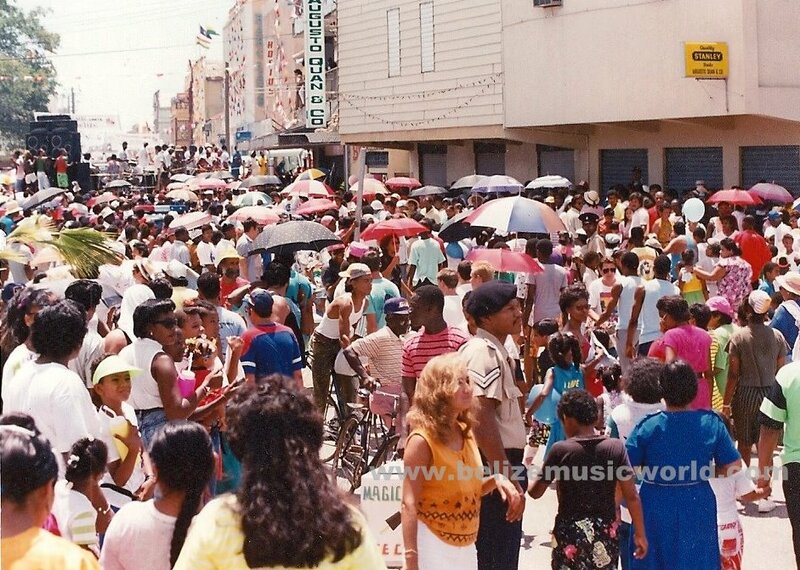 Tony was honored by the Lord Rhaburn Music Awards for having 39 years of service in the music industry in Belize in 2005. 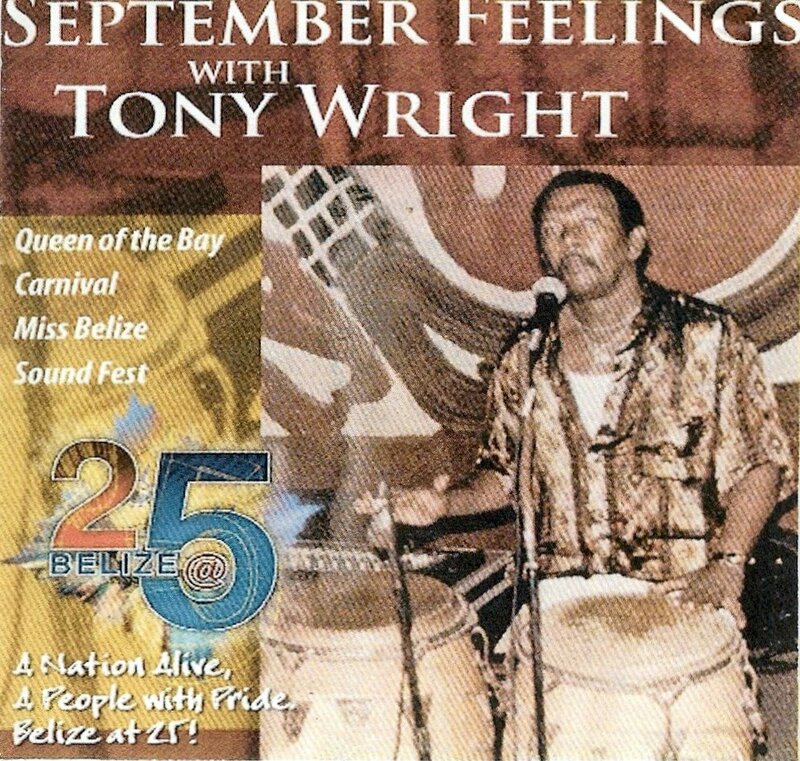 2006 saw the release of two new albums: Tony Wright and September Feelings. 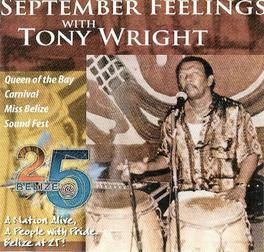 September Feeling was a tribute to Belize 25th Independence anniversary. Next Tony appeared as the opening act for the Manhattans Mother’s Day Concert in 2007 in Belize City. Tony also hosts three of the top shows on Belize’s #1 KREM Radio: Belize Musicians Past and Present, Belizean Beat and Your Saturday Morning Special. He is also the founder and President of the Association for Belizean Artists First. 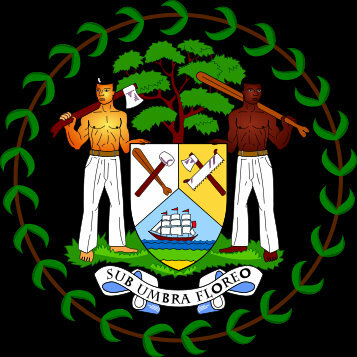 This Association has been in existence since 2001 and seeks to promote and preserve Belizean roots and culture, through musical and other artistic events. Tony Wright is a singer, song writer, radio disc jockey, community worker, story teller, story writer and poet.